South Carolina— It’s definitely blazing in South Carolina, with all the events from bike week 2012 that has taken place in Myrtle Beach, SC. We got a chance to run into Dj J Watts down their networking and promoting his New Company “The Movement Music Group” and his website “www.jwattslive.com“. His company is responsible for a huge amount cd duplication that were distribute thru out this annual statewide bike festival. 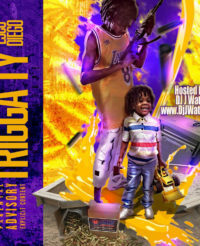 Distributing up to 5,000 CDs, Dj J Watts just didn’t stop there. He was at Kono Lounge in concert with the group “Spiff Kidz (Darlington, SC)” and made special guest appearance at The Afterdeck in N. Myrtle beach. 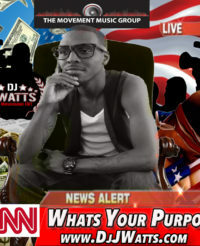 When ask what new projects were next to drop out of “The Movement Music Group”, he responded “It’s all about www.jwattslive.com 2k12 series starting this summer, But I just don’t want to just drop mixtapes this summer but I want to drop tapes with independent artist all across the world”. What is your goal with this project? “My goal is to expose my brand across the nation, but at the same time this project focus on a lot issues dealing with the South Carolina and North Carolina Music Industry. When you look at the south-east region such as Georgia and Florida. Those two states are pushing to control the country with the product they push out to the country. Little do they know that South and North Carolina has the same high quality products. 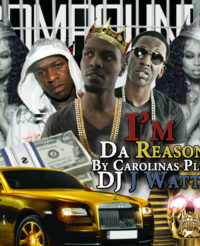 The Carolinas are responsible for J Cole, Petey Pablo, Lil Ru, Mobb Deep, and Jill Scott. I’m sure there many more names out there but that’s not the point I’m trying make. The point is that the talent is here in the Carolina we just need to educate our artist and our djs on making this connection last forever to the point where we pushing out instead of taking in. So the big question, why do you think the Carolinas is not ready? Well I think they are ready but there is a lot politics in this game from artist that are really on their grind like Kenny Kane, Spiff Kidz, Bj Cash, Mista Taylor, Marley Mar and plenty more. It’s start with the artists and his or her campaign lately they have been heavy movement going all across the Carolinas. So what about the djs? Well djs are caught up in their own world, they think they hot but I compare them to an ant on this planet call earth. That why we have educate our clients on what’s real and whats not. Sometime the truth is right there before our eyes and we can’t even tell if it’s real or fake. For example in South Carolina Dj B-lord is well-known from being a tour dj for Petey Pablo and being on BET some time and that’s it. But step a little lower you got djs out here that happy with being on a radio station that reaches out to 5,000 listeners but outside of the radio station nobody knows them in streets or in state. So if these guys are not pushing for more what u think they going do for project that they are on. 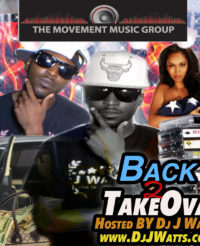 We coming upon a new era most of these Dj are older and now settling for pay checks instead of breaking records. In order for history not to repeat itself, and so the Carolinas can come up we have to educate our youth. Which is our up and coming djs and artist about the past and future.